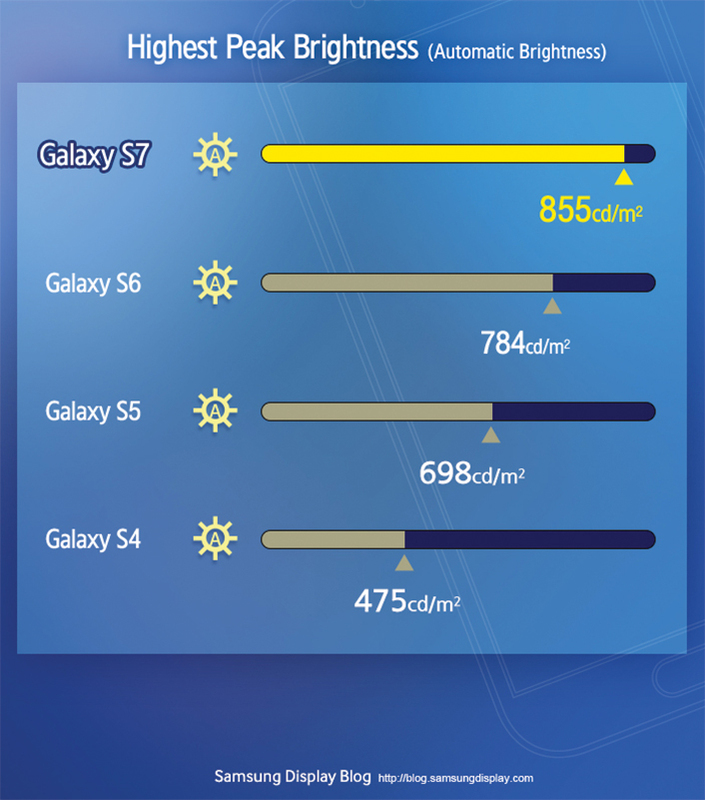 Last summer, DisplayMate Technologies called the Galaxy Note5 screen the best smartphone display they had ever rated. Now the Galaxy S7 is even better, writes the leading evaluator of video screens. In an in-depth analysis of the new Galaxy flagship phones, DisplayMate’s judgment was clear: “The display on the Galaxy S7 matches and even exceeds the performance of the Galaxy Note5 that we tested in 2015 and rated as the Best Performing Smartphone Display that we had ever tested.” Let’s take a deeper look at the Galaxy S7’s screen and why it has won such high praise from the industry’s premier analysts. The core specs of the screens on the flagship Samsung smartphones remain as strong as before—2560×1440 Super AMOLED displays, in 5.1 inches for the Galaxy S7 and 5.5 inches for the Galaxy S7 edge. Absolute color accuracy, color gamut and intensity, viewing angles and power consumption remain at the same industry-leading levels as the Galaxy S6 and Galaxy Note5. The DisplayMate review also noted that because the Galaxy S7 pixels are 24 percent smaller than the Galaxy Note5, those pixels had to output at a 24 percent higher level for the screen to deliver the same overall brightness and performance. The new Always On Display for the Galaxy S7 and Galaxy S7 edge also won many plaudits. Always On Display lets users see the time, calendar, status messages and notifications even when the phone is in standby mode, with the screen off. This is possible because the new phones use the AMOLED screen to take advantage of the independently powered sub-pixels, therefore not using any power at all when black. So when the phone is in standby mode with a black background it is still possible to show some text and graphics without a significant power drain. 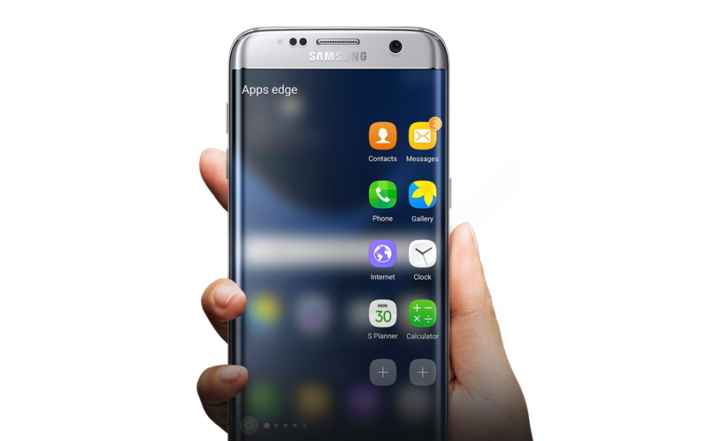 The Galaxy S7 has added an interactive Personalized Automatic Brightness Control, not only changing the brightness settings on the screen depending on the setting, but also learning and storing those settings based on a consumer’s preferences and usage. Brightness Control is useful for ensuring the screen is at the right level for the ambient light conditions while maximizing battery life. The analysis also praised the Galaxy S7’s Super Dimming mode, which allows the phone to drop as low as 2 nits, so it doesn’t distract when used in a dark environment, like beside someone’s bed at night. But even at the lowest brightness setting, the display still delivers 24-bit color with excellent picture quality. Two years ago with the Galaxy Note4, DisplayMate called the Samsung smartphone display the best in the world. That continued last year with the Galaxy S6 and Galaxy Note5. But Samsung was never complacent with those achievements, and now, with the Galaxy S7 and Galaxy S7 edge, Samsung continues to relentlessly innovate and improve all aspects of its smartphones, always pushing the limits of what is possible to enhance people’s lives. Both the Galaxy S7 and S7 edge were unveiled in Barcelona on February 21, and are slated to go on sale beginning March 11 in select market.